Welcome to Cary Auto Sales! Located in Beautiful Downtown Cary Since 1989. We take great pride in our relationships with happy customers who buy from us again and again and refer us to their family's and friends! We carry a wide selection of high quality, local cars, trucks, and SUVs most of which are 2015 or newer. We guarantee no major accidents, flood, salvage, fire, or theft vehicles, all our vehicles come with a free CARFAX report! If you are located outside of North Carolina, please know we can help arrange transportation and are happy to work with you. 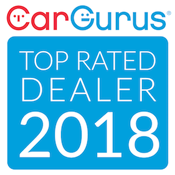 Please come visit us to see why we are the best place to buy your next car in Cary! See why 85% of our customers are repeat buyers! • We Buy Cars Too!